ICD MANDATE UPDATE: Encore Health Network will accept either ICD-9 or ICD-10 for date of service/discharge date prior to 10/1/2015. We will only accept ICD-10 for date of service/discharge date on or after 10/1/2015. Claims with ICD-9 will be rejected starting on 10/1/2015. As a health care provider, you want to work with a network that will make your life a little easier. Encore strives to be that partner in business. We work hard to serve our providers as an efficient and productive facilitator between them and the TPAs. In fact, our latest 6 month data indicates our average provider appeal time as less than 4 days. 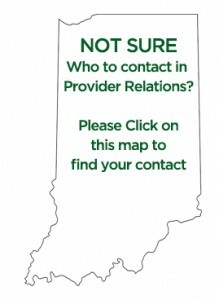 And Encore is one of the largest Preferred Provider Organizations (PPOs) in Indiana with over 600,000 members. Our growing network also serves areas in Illinois, Ohio, Kentucky, and Michigan. And our online provider search is one of the most robust and user-friendly directories around. Updates are made nightly to ensure that our members are getting the most current information so that they can connect with the health care professionals in their area that best meet their needs. We always want you to know that you’re taken care of with Encore. That’s why we’re willing to go the extra mile in serving you and answering any questions that you might have. Why Encore? Because it means more-more service and more connections between you and your patients. Interested in Joining Encore Health Network? We look forward to you becoming a part of our network family.